If you want animals to play a role in your occupational therapy practice, education is essential. The most relevant training is in animal-assisted therapy, or AAT. (For the difference between AAT and animal-assisted activities, or AAA, see part I of this series.) Because such training is rarely OT specific, you’ll need to merge what you learn with your OT knowledge, and, as with your OT degree, supplement it liberally. Some of the resources mentioned in part I of this series offer educational programming along with their various other services. Here, we focus on additional resources that are widely, or virtually, available. One option is the online AAT certificate program through the Animal Behavior Institute in Durham, NC. While not specific to AAT, despite its name, its extensive focus on animal behavior and training may be useful for developing a good understanding of how your animal partner communicates—essential for his or her health and well-being. Five courses, forty hours of required fieldwork, and a $5,925 price tag mean it’s not for the casually interested. A likewise extensive yet more health-care-oriented AAT program is offered through the School of Nursing at Oakland University in Rochester, Michigan. Also five courses, this online certificate program has the benefit of an interdisciplinary advisory committee that includes an occupational therapist. A defining characteristic of the program is its capstone project, in which students develop a personalized business plan that can be given to a supervisor or facility. The University of Denver's Animals and Human Health Certificate program educates professionals of multiple types (health care, education, law enforcement, etc.) looking to augment their practice with animals. 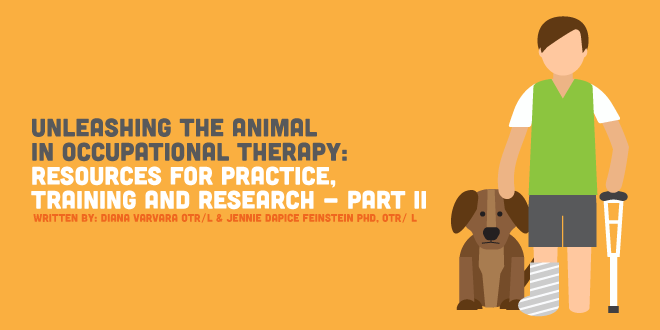 Three online courses followed by a two-day session on site (or via Skype) focus on giving students the knowledge, tools, and expert feedback to create and implement their own animal-assisted intervention program. If name recognition is important to you, here’s where you’re most likely to find it: The course series is from DU’s well-regarded Institute for Human-Animal Connection. Harcum College in Bryn Mawr, PA, offers an AAT (really, AAA/T) certificate course taught by Phil Arkow, a humane educator who’s written multiple books on the course’s subject. Thirty hours of online classwork takes students through the history, science behind, and logistics of AAA/T, including animal selection, risk management, and program development, while multiple clinical observations in students’ local area help them understand how AAA/T works in practice. Through its Consortium for Animal Assisted Therapy (CAAT), the University of North Texas provides a 15-hour basic and advanced or 7-hour advanced-only distance-learning course in animal-assisted interventions. The basic level contains Pet Partners AAA training; the advanced, health-care-specific training. The material, taught by a professor of counseling, centers on that area of practice. Also associated with Pet Partners, the University of New Hampshire extension school offers that organization’s AAT Applications course in a four-week (six-hour) online format. This course is geared toward health-care professionals and covers evaluation of therapy animals, identification of and response to animal stress behaviors (info that’s imperative for any AAT practitioner but is often skipped in courses), client and environmental assessment, treatment techniques, documentation, and research. Continuing ed company PESI's full-day animal-assisted interventions seminar is taught by a social worker with AAT experience. It covers uses of and functional goal setting in AAT as well as recent research and laws that affect practice with animals. The course is preapproved for OT CEUs and is offered in video format as well as in person in various locations. A few AAT practitioners offer in-person continuing education. Among them: Melissa Winkle teaches AAT workshops internationally, both through AAII and independently. She offers post-professional AAOT clinical rotations as well. Mental health counselor Christi Dudzik also provides AAT training workshops for health-care professionals, including one on incorporating therapy animals into the rehab setting. AOTA’s annual conferences can be a source of education too; they typically have at least a few presentations related to AAT (and the 2016 conference has an entire Institute session devoted to it). The bonus: CEUs aren’t a question, and you can learn about lots of other topics as well. Want more info on animals in OT? See part III, which delves into research.